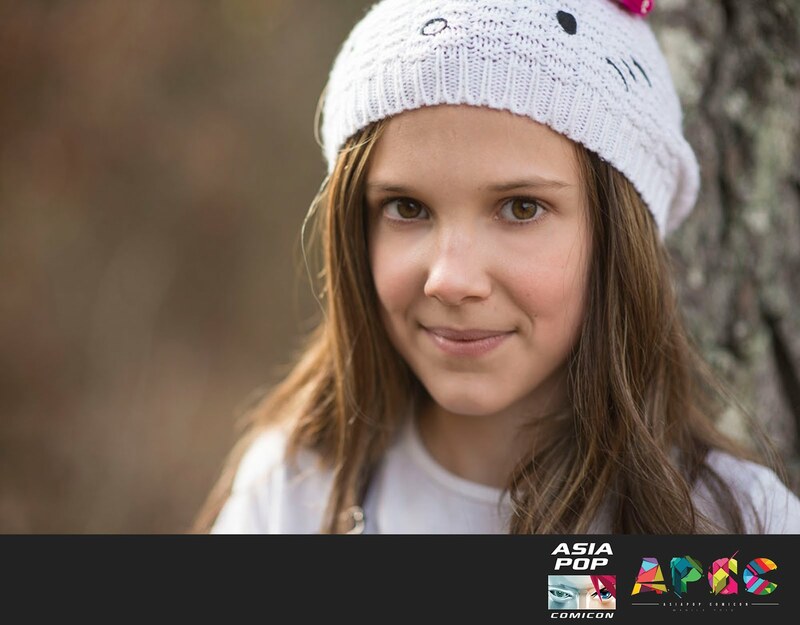 British child actress Millie Bobby Brown who was the breakout star of Netlix’ science fiction horror series, Stranger Things, will be in attendance at the second staging of the AsiaPop Comicon Manila from August 26-28 at the SMX Convention Center in Pasay City. Brown is the second actress named in as many days by AsiaPop organizers after the stunning pullout of Agent Carter and Captain America actress Hayley Atwell due to scheduling conflicts with her new television show, Conviction. The 12-year old Brown plays the character of Eleven, a young girl with psychokinetic abilities in the critically-acclaimed show whose popularity was spread by word of mouth. Stranger Things is set in the 1980s and has received positive reviews for its writing directing, pacing, acting, soundtrack, and homages to 80s films by John Carpenter, Stephen King, George Lucas, and Steven Speilberg. Speilberg lauded the show as the best on television for the year. Brown was one of the show’s stars along with the comebacking Winona Ryder, an actress who coincidentally started out her career in the 1980s. Within weeks, the family was on a plane to Atlanta to film Stranger Things. Since the runaway success of the short television series, producers have lined up to sign Brown. And now, the 12-year old Barcelona-born Briton is going to make her first comics convention appearance. And in AsiaPop Comicon Manila of all places.